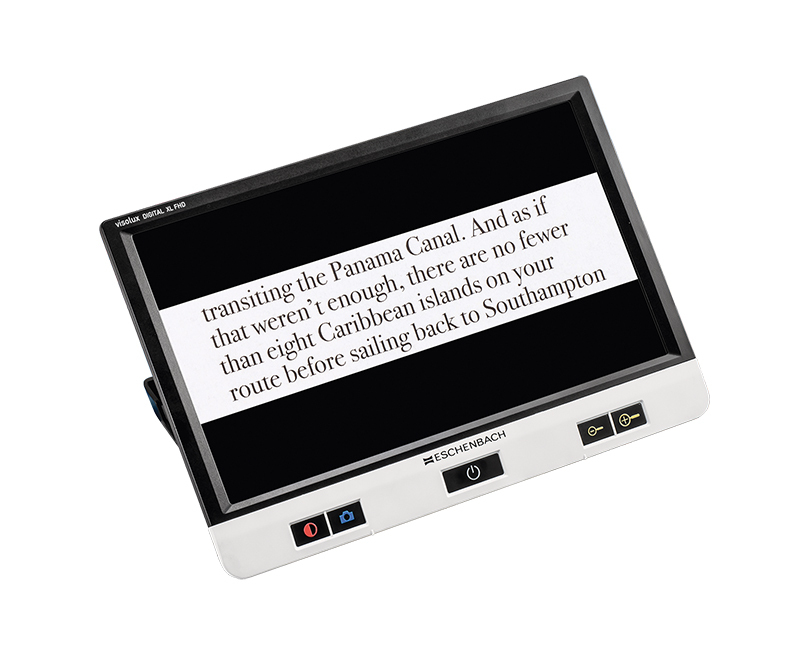 The Visolux XL FHD is a portable electronic magnifier that thinks it's a desktop! With a large 12" screen and full high-definition image (1080p) the Visolux is ideal for reading newspapers and magazines, but still portable enough to take with you on the go. Plus, connect an external camera (sold separately) and you can even use it for distance viewing, making it ideal for students! The Visolux also features dynamic line scrolling (DLS), allowing you to scroll left, right up and down over whatever text you are looking at.